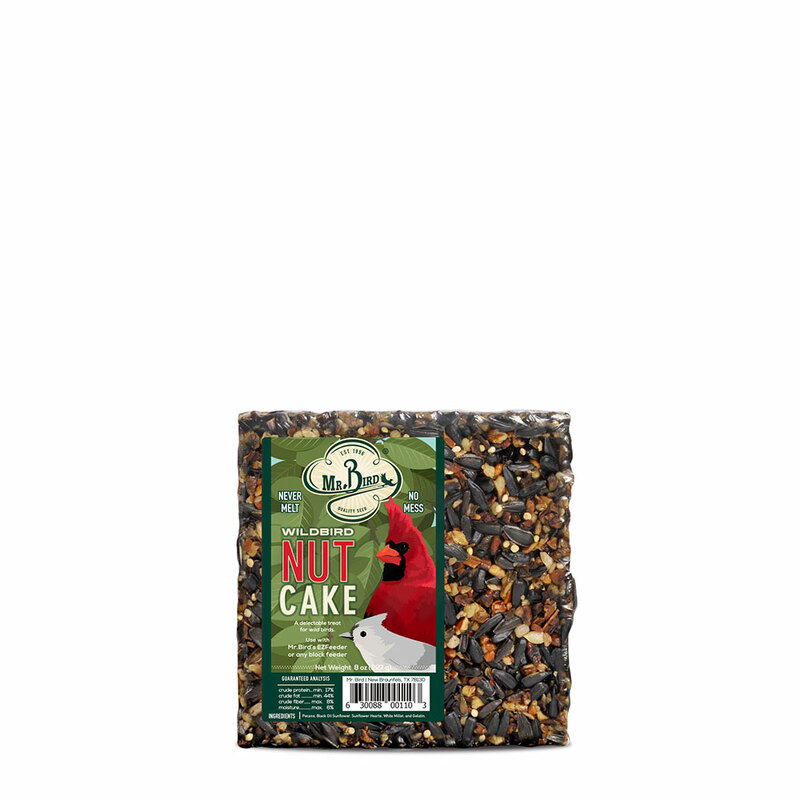 Premium seed and tree nuts make these suet-sized cakes irresistible to birds. Contains tree nuts, black oil sunflower, sunflower hearts and a dash of white millet. No mess - never melt. 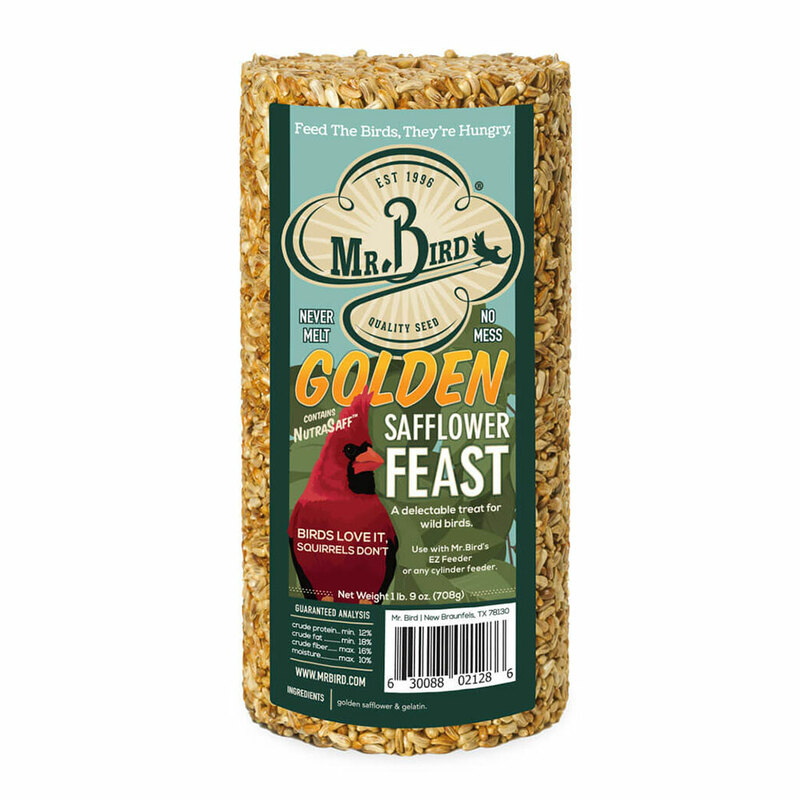 Our 100% Golden Safflower cylinder, cakes, and bells attract a greater variety of birds than regular safflower due to the thinner shell. Squirrels generally DON’T like safflower. 100% safflower. Attracts cardinals, grosbeaks, house finches and more. 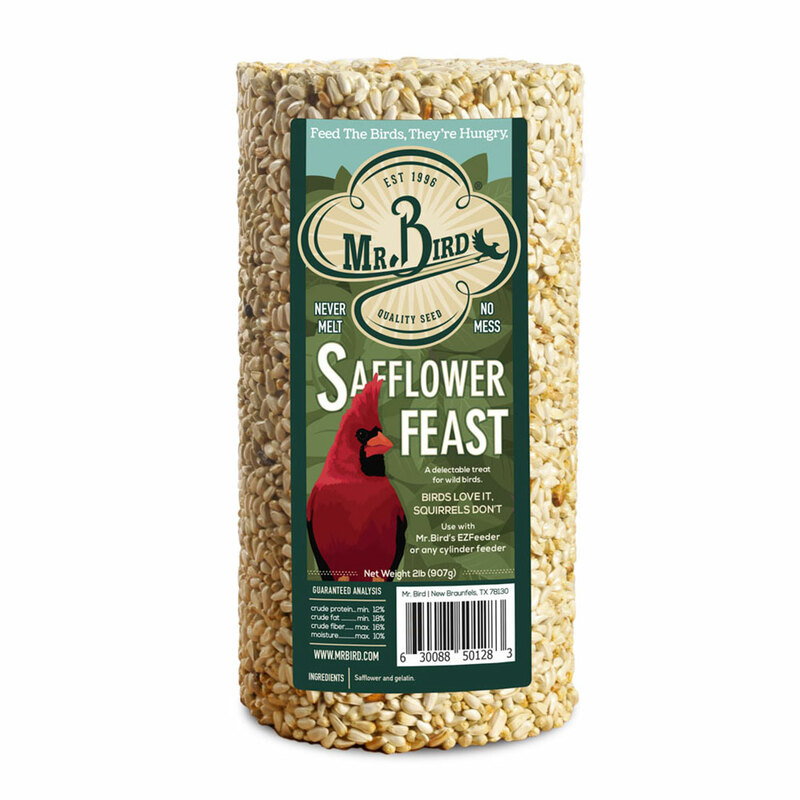 Squirrels, grackles, sparrows, and starlings generally DON’T like safflower. Birds like it. Squirrels Don’t. This 100% seed cylinder will feed the birds while keeping the squirrels away. 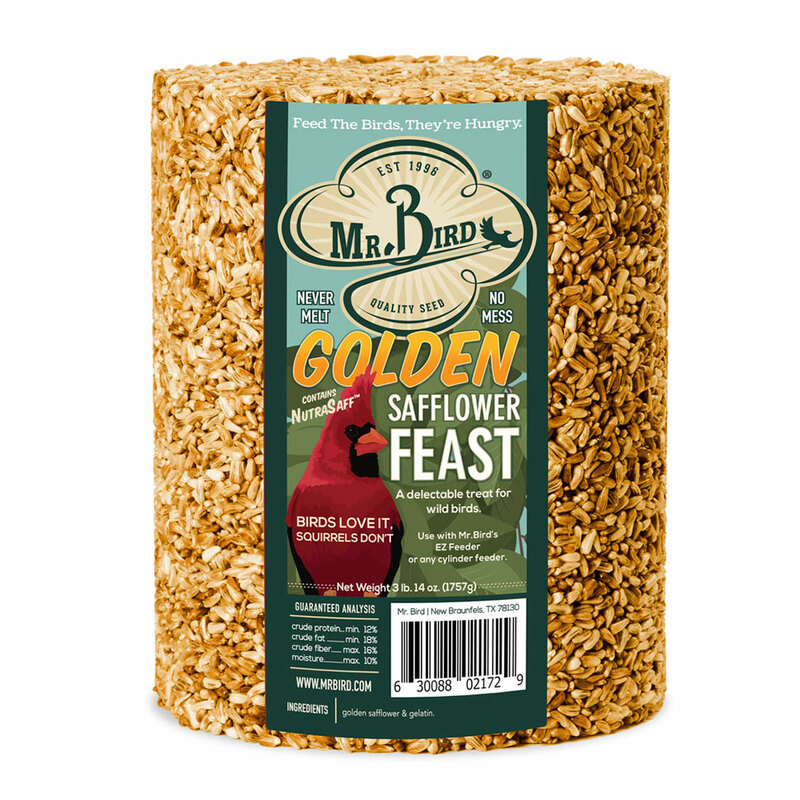 What makes this product special is the formula; sunflower hearts, peanuts, golden safflower, mealworms and it is extra spicy. This product contains a strong eye, nose, and skin irritant. Wash hands thoroughly with soap and water after handling and keep out of reach of children. 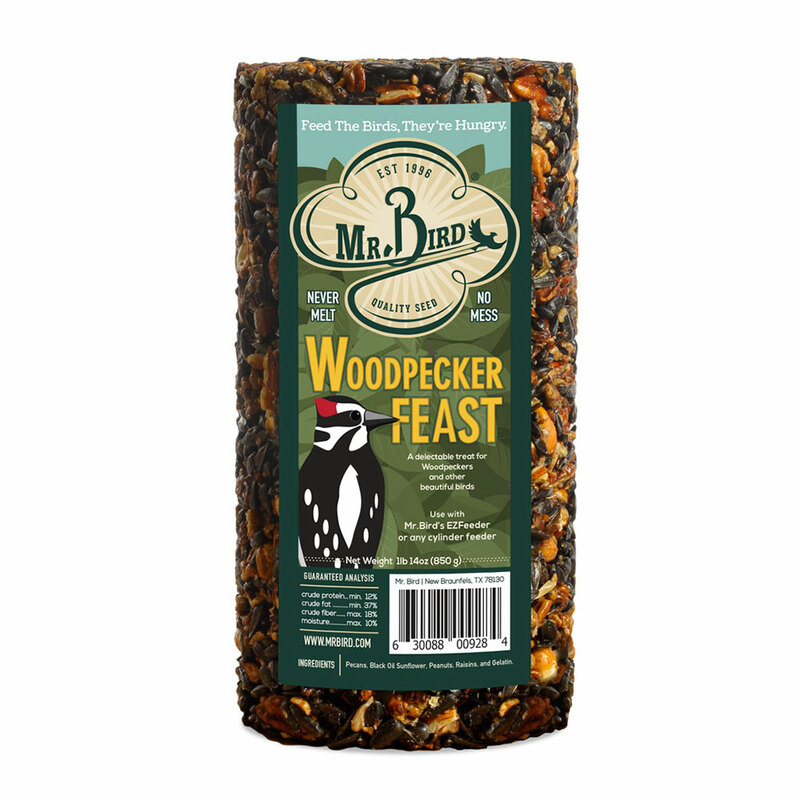 A delectable feast for an amazing variety of wild birds. 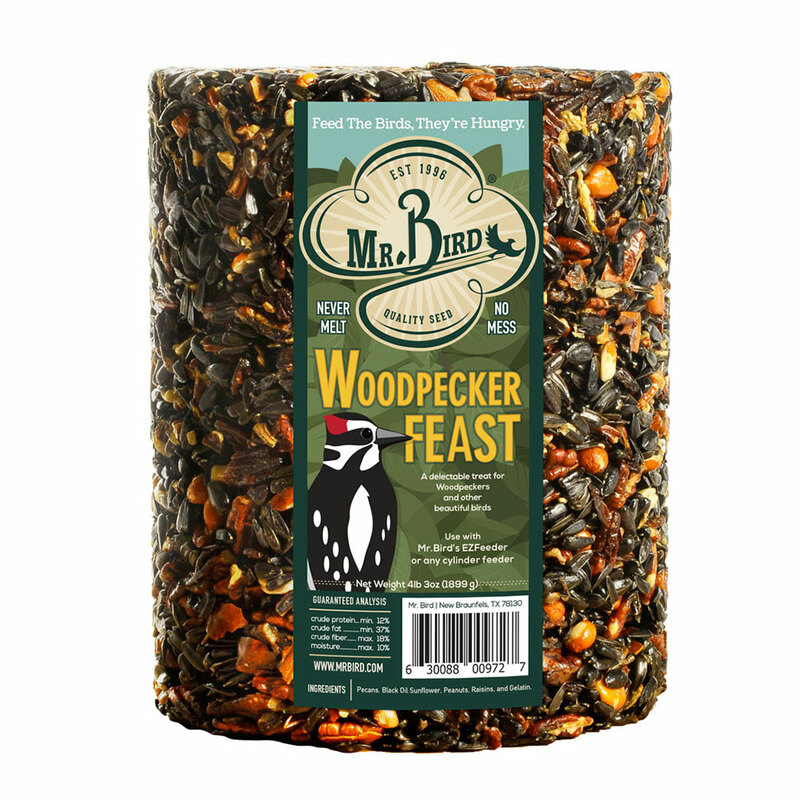 This formula is sure to attract your favorite feathered friends with its fantastic blend of mealworms, pecans, sunflower hearts, raisins, and cranberries. BUG APPETIT! An amazing variety of birds will visit Mr. Bird’s pecan feast. There is nothing more attractive to chickadees, titmice, and nuthatches. Four parts pecans and one part peanuts make these cylinders the richest available. A feast of tree nuts, peanuts, raisins and black oil sunflower keeps beautiful and interesting woodpeckers coming back for more. Contains the rich food that woodpeckers love. Extremely easy to use with the seed cylinder refills. Once sold, you gain repeat customers. This seed block holder is a model for efficiency and simplicity. Your birds will love it, they are not limited to a few seed ports so it is common to see a dozen birds at once on this feeder. A little hook at the bottom of the feeder allows you to hang a suet basket, tube feeder, or even another EZFeeder below your feeder.